Sotheby, the famous English auction company have sold an original Apple 1 computer to a phone bidder this week. As Engadget reported the machine sold for a staggering $374,500. This figure is twice what Sotheby had estimated it would be. The package included a cassette interface and BASIC programming manual. This original personal computer was hand-built by Steve Wozniak in 1976. About 200 units were eventually produced. It originally sold for $666.66 but still required users to add a case, power supply, power switch, ascii keyboard and composite video display. It was first showcased in the summer of 1976 at the Homebrew Computer Club in California. 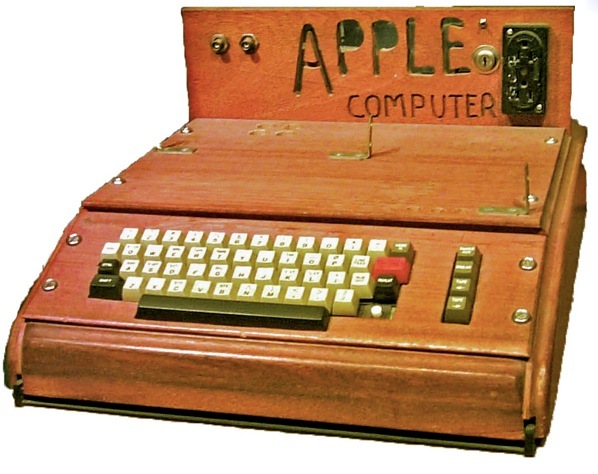 The Apple 1 was replaced by the Apple 2 in August of 1977 but it continued to sell until October of that year. Today only about 50 of these ancient pieces of geeky tech nostalgia are believed to still exist. This is truly a rare collectors item. The specs of this landmark computer included a 1Mhz MOS 6502 processor, 4KB of RAM, 40×24 characters, hardware-implementing scrolling graphics. I sincerely hope that the person who purchased this computer for $374,500 doesn’t expect to be able to play Crysis on it.